Extra virgin olive oil Verde Esmeralda edition Red Diamond, 100% Royal, 500 ml. Coming from Úbeda, Jaén. 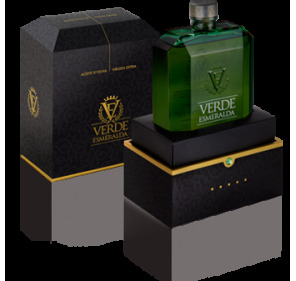 AROMA: Very intense fruity of green olive and very complex, with green notes of apple, grass, stems, alloza and tomatera. FLAVOR: In the mouth it is, at first, sweet, medium-bitter and somewhat spicy. Very balanced. 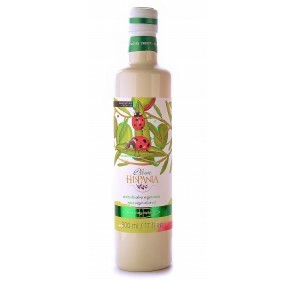 This extra virgin olive oil, shows us a scent of fresh grass, tomato and artichoke that reminds us of the extensive fields of olive trees of the upper basin of the Guadalquivir. Transmitting a peace and awakening a unique feeling. First night of harvest. This year's collection was made at the end of October. 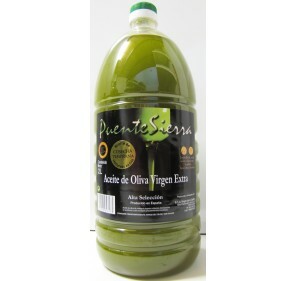 As October is a month of high daytime temperatures, which in many cases reach up to 30 degrees, harvesting is done at night, thereby ensuring that the temperature from the olive harvest, until obtaining its elixir , Is permanently below 20 degrees. 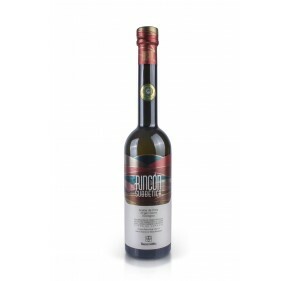 The olives harvested go through a process of deforestation, in which are discarded those that do not meet the established requirements. 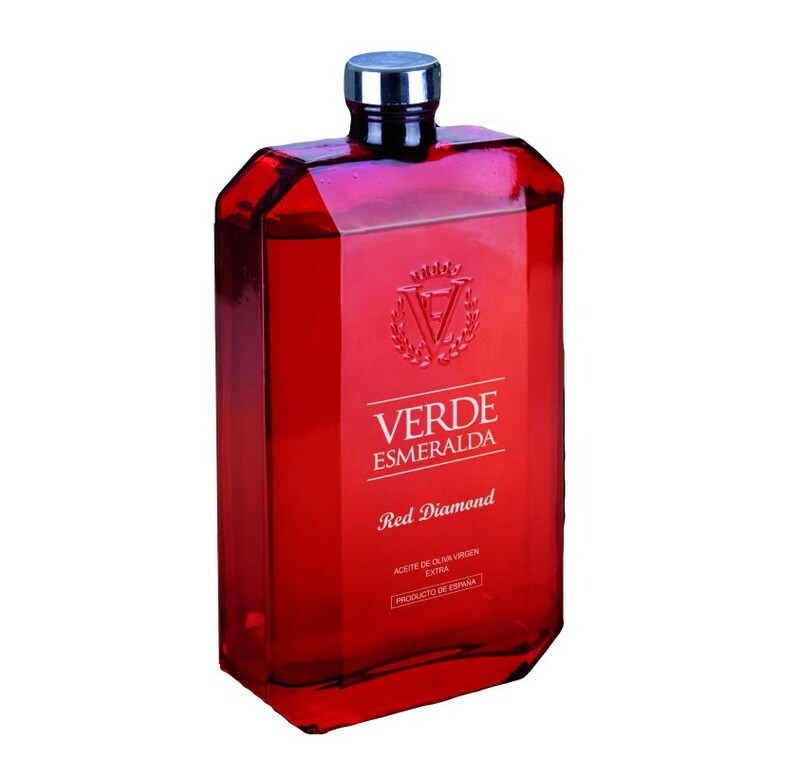 Verde Esmeralda Blue Sapphire organic. 500 ml. 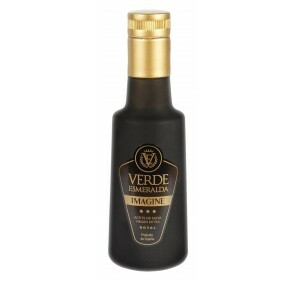 Extra virgin olive oil Verde Esmeralda Blue Sapphire organic. 500 ml. Coming from Úbeda, Jaén. 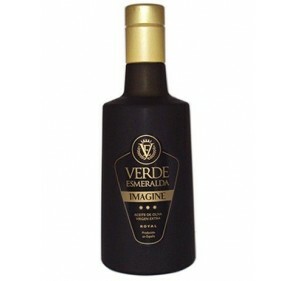 Verde Esmeralda Extra virgin edition Mini Premium, 100% Picual. Coming from Úbeda, Jaén. 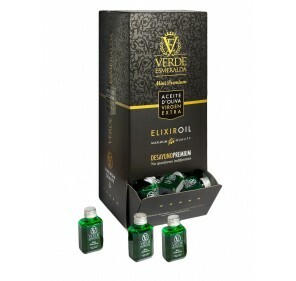 Box of 100 single dose of 25 ml.